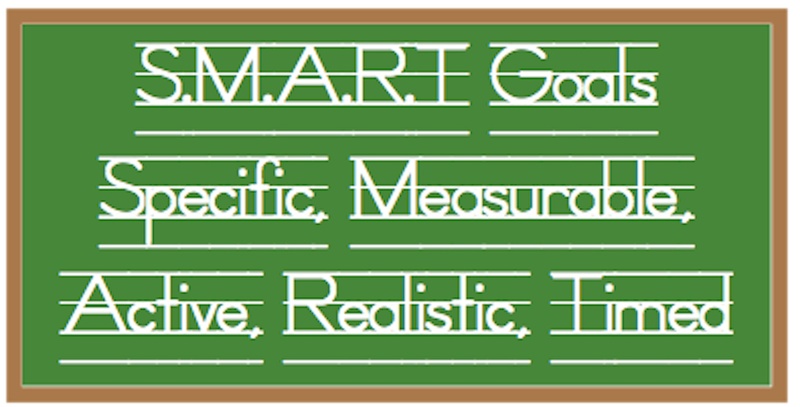 I’ve had a few therapists ask me about writing S.M.A.R.T. professional development goals. I can find some examples for teachers, information on “how” to write them and even a few templates. However, there isn’t much out there for speech language pathologists to reference. After a quick search I found no examples specifically for SLP’s. Has anyone recently completed their professional development goals? If you have, share your work. Basically we all work on similar things and with similar students. As a profession our goals should reflect our uniqueness and not be the same as teacher goals. We’re bright people and can figure out how to write a goal but why reinvent the wheel. Not that personal goals should all be the same but you may have though of a particular goal that is extremely appropriate but not typical. 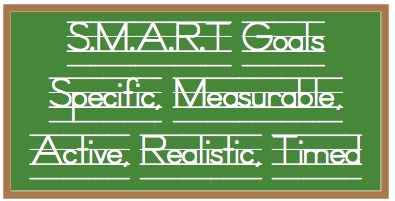 Please share your thoughts and process around creating your S.M.A.R.T. professional development goals. Leave a few examples or other resources. We’re in this together and you’ll be appreciated more than you know. We had a full day professional development day last Friday. After a general meeting of explanations, we were handed worksheets and instructed to break out into our “groups” to work on our goals. Most of these groups did the same or very similar goal (grade levels, middle school content teachers,etc). I paired up with the OT as we were the most similar regarding jobs. We started to write a professional goal centering our “consult” time on IEPs–how we were going to be consistent and timely, etc. We didn’t have time to come up with a finished goal but it will resemble an IEP goal when it’s finished. I will post more when I finish it. We have to write two goals, professional and a student performance goal. I am stuck on what direction to take for that…Thank you Teresa for opening this discussion. I think it would be great to share professional and student centered goals. For my professional goal I worked on an articulation progress report. For the student centered goal I worked on a parent and teacher carryover sheet followed by a survey to assess its effectiveness. Both goals went well. I am working on ideas for the coming year. One of them may be to observe other SLP programs and compare service delivery. I see one from Mary on this site about consult time. I hope more SLP share ideas. How did your parent/teacher carryover sheet turn out? I’m interested in creating one! You might have sent this to the wrong blog. I can’t find a comment from a Debra. I came up with a professional goal in response to my principal’s question about What is one professional goal you have this school year? ‘Given the rigor of the common core, I will provide support for language underpinnings by implementing the workload approach for students with a language disability.’ This means I’ll be increasing my collaboration with classroom teachers by using a work model that documents direct and indirect services for IEP students. I’m not sure if this is actually specific enough to be included on the new Danielson Model Teacher Evaluation that my district will begin to use this year. I think you are probably on the right track with what the school might want. I had a little chuckle when you used “the rigor” of the common core. CCS couldn’t be less rigorious. CCS does not understand that you have to teach, develop, use and practice, basic underlying language skills for kids to be successful. Also teach and continue practicing those skills at appropriate developmental times. That’s a whole other issue so don’t get me started:). I guess the only concern I have with your plan is, are you doing this in addition to your regular duties? Where is the time going to come from for you to go into the classroom setting. Have your hours been increased or the IEP you are responsible been modified to incorporate this model. If not you just created a lot more work for yourself or your claimed yourself a glorified assistant. Don’t get me wrong, I think collaboration with the teachers is an excellent idea. They need to have a better understanding of what we do. Just make sure there is time built into your schedule to do this right. I guess my other advice is to write the goal as simply as possible using the right jargon of course….your are going to have to take some data on this so make sure it is something very very simple to do. Thanks for taking the time to comment on my blog and please let me know how this turns out. Follow-up to the August Prof. Dev. Goal. Collaboration is considered part of SLP regular duties, and as an indirect service as part of ASHA’s Workload Approach. I did add consultation as supplementary aids/services on IEPs for a dozen students last spring. I do have 3 students that I’m now seeing in general ed. setting. Yes, that is a small number. I’ve created a ‘collaboration’ form for teachers to provide me with ELA vocabulary, specific stories per reading levels that I can utilize in therapy, essential questions, Social Studies/science vocabulary, math concepts, and writing lessons so I can stay inform with the new curriculum. I also included on the form to them, speech/language strategies that they can use with certain students (i.e. gesture cue to inform student that the teacher is listening for correct speech sounds). Collaboration is not just face to face which can be difficult to schedule since classroom teachers have common planning time per grade level but SLPs rarely can meet during those times. I have started documenting face to face discussions with teachers about students on a chart that I created. I do have collaboration time included in my schedule. I also contact some parents via email for more home suggestions during that time. The wording of my professional goal is not finalized yet. I plan to lead a voluntary group meeting for SLPs in my district to discuss ideas for professional development goals before the end of October. Hi Sue, I love your idea for your professional practice goal. I was wondering if you had a copy of your collaboration form that you wouldn’t mind sharing? I know it has been a few years since this was written. I like this because it enhances something we are already doing, just making you think about it a little more. I’m having a difficult time writing my evaluation goal too. Like you, I’m at a new school and thght homework would be an avenue I would revisit. How did you write yours so it would be measurable for you to monitor? I have a difficult time with these things! I am so glad I found this site. I have a few ideas for personal professional development goals. I was thinking of developing a communication checklist that can be used for intake meetings. I also would like to work with teachers on data collection so that communication skills can be worked on across settings when I am not around. I would like to develop some kind of standard practice for service delivery so that all the SLPs in our district are on the same page. It is much more difficult for me to come up with a more student focussed goal. The majority of my students are non-verbal and profoundly impaired. The student goal would have to focus more on reaching out to families and coming up with a way of increasing carryover at home. Thanks for taking the time to comment. I can see where it would be difficult to come up with goals when working with such a severe population. Great ideas. The only thing that pops up in my mind is that with the teacher data collection and carryover, you are really counting on someone else to achieve the goal. That might not sit too well with the teachers and you might end up with only a few parents who are capable of aiding carryover. I would just be careful how you word goals in those two areas. Maybe have the aides do the data collection-but make it simple. I just had a thought…something like “Through training and observation, teachers and assistants will understand how to use personal communication devices and how to facilitate consistent usage,” then add some way to measure it. I know that in so many schools I’ve worked in I see the communication device sitting on a shelf and only sent to speech with the student. I would be interested in knowing what goals you finally decide on. With little time in my schedule to do anything else, I always try to incorporate something I am already doing, just making it more consistent. My district is pushing the RTI model. However, there is nothing really in place for how the SLP should be utilized. I was thinking of writing a smart goal around this. Any ideas??? One thing I learned when RTI was implemented at one of my schools a few years ago is that the powers that be are going to implement RTI the way they want to implement RTI. You could make suggestions on how the SLP can be utilized but the success of your goal would depend on the powers that be choosing to let you function the way you suggest. You probably shouldn’t write a goal that depends so much on someone else accepting an idea. I would suggest something like creating a classroom observation sheet/checklist that you can use if or when you are ever asked to do a classroom observation. When writing a goal make sure it goes along with what your are already doing or expected to do and doesn’t create another workload item (significantly extra time). Thanks Teresa. That is a good point. I like the idea of creating an observation sheet. At this time, we don’t have anything formalized so I usually just jot random notes down. Maybe even a information sheet for the teacher to fill out so I know what I should be looking for. I am the only SLP in my building, but my district has 3 other SLP’s.We rarely get together to discuss this sort of thing. We had written ours last year to include learning and implementation of the EET, and developing materials and lesson plans to facilitate teaching, with assessment at the beginning and end of the school year. It went well. This year, we are hoping to expand on that by finding ways to incorporate it into the writing program used in the regular classrooms. Having issues with SMART goals as applied to a music/band setting. Any suggestions as to how to start? Or, am I thinking to hard about this? You probably are thinking too hard about this. Too bad you just can’t write one saying students will enjoy music 99% of the time. I proabaly can’t give you suggestions but I do know that music helps with langauge development more than most realize. The changes in music instruction in schools have worried me. How about memorizing the real words to a song, be able to sing a scale, keep rhythm and time. Maybe with older kids, be able to identify one type of music. Just try to tie it in with something you really want the students to learn in music. Don’t make it too hard. You’re administrator probably has less of a clue about what you do and won’t question too much. I’m trying to come up with a data driven goal for my caseload. I have 18-20 students with devices, another 20 that are in various self contained classes, & another 25 that have speech as secondary, & another 5-8 that I’m TOR for. I’ve been out on medical leave for over a month & I’m in a new building this year. Some of the elementary building therapists have used something like 5 artic only students will be dismissed this year, or 80% of artic only students will meet their artic goals, etc. I’m also using the previous therapist’s goals for the majority of this school year. Love all the ideas. My district was thinking of sharing goal ideas too,but nothing has surfaced. I was thinking of creating a parent questionnaire for speech and language etr’s and iep’s. Does anyone have any suggestions on specific information they may include? The one I have now is just parents writing likes,dislikes,lstrengths and weaknesses of student. I don’t think I would involve parents in my smart goal for a lot of reasons. They might not fill them out and then you would be left without any data. Also if it isn’t a check list included in a test or other measure, you probably should obtain school permission before you send something home. All you need is one misunderstood question and you’ll end up in the principals office. I am not sure what etrs are but if you want to obtain background information for your evaluations, I would write a goal stating something like, In order to obtain better background information before evaluation and service recommendations, the parents will be contacted via phone, email or checklist and supply background information relevant to their child’s specific needs. Is that what you are going for. This way the goal is actually to make some sort of effort to contact the parents prior to eval or IEP. Don’t make it too complicated. Is that what you were thinking. I liked the idea of facilitating articulation carryover by sending home activities for a professional goal. Any ideas on how I can tie this in to a student directed goal??? Perhaps make it so parents have to fill out a practice log. Based on parent report via log, students will practice their newly acquired sound production, 3-4 times/week for 10 minutes (whatever you want for criteria). New material will be sent home on a bi-weekly basis. Just a quick thought, word it how it works for you. The purpose would be to assist carryover of newly acquired sounds. Create a log that corresponds to whatever criteria you decide. You’re measuring just the practice not individual success. I am writing my SMART goals. I have come up with using my oral narrative story telling benchmarks to correlate with the written language narrative expression benchmarks in the IEP for 5 students who are in a separate classroom for language literacy…reading, writing, math. These students have average cognitive scores. 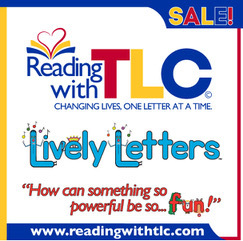 They are included and fully supported in the general classroom for soc., sci., specials and in classroom tasks where they can meet success. I use story grammar in my sessions for story telling (never bought the program, just use the labels of the elements and did some reading). I find the students are receptive and can use this strategy to help them organize and come up with language as we go through each element. I know this would also be help then when they are writing narratives in their classroom. I plan on seeing these students some of the time inside their room when writing. There is a lot of pressure on me to be very involved in this classroom. Kinda’ hard with my other 30 students needs too! This goal will fulfill that wish of the administration, and help the students. The professional goal is going to be the PACE questionnaire for teachers that can be found on the ASHA site which evaluates the effectiveness of an SLP through teachers responses to questions regarding communication on our part following a student’s assessment. The SLP’s in my district are going to do 2-3 students in fall and spring. With the data we collect we will try to improve in the areas noted lacking for overall effectiveness in communicating to the teacher about a students evaluation results, and recommendations.